Virginia McKenna gives a moving, BAFTA-nominated performance as Violette Szabo, one of the Second World War’s most revered heroines. The dramatic story of her resistance work, imprisonment and ultimate fate, Carve Her Name with Pride stands as a tribute to the secret agent who would be posthumously awarded the George Cross for her vital and courageous role in the fight against Nazism. Directed by the Oscar-nominated Lewis Gilbert and co-starring Paul Scofield and Jack Warner, this classic feature is presented in a brand-new transfer from the original film elements in its original theatrical aspect ratio. 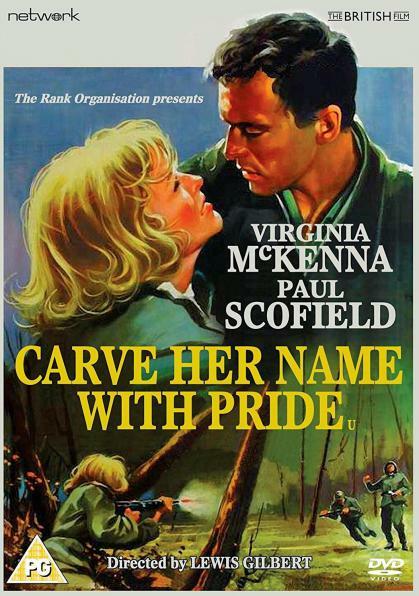 Featuring: Carve Her Name with Pride (1958).